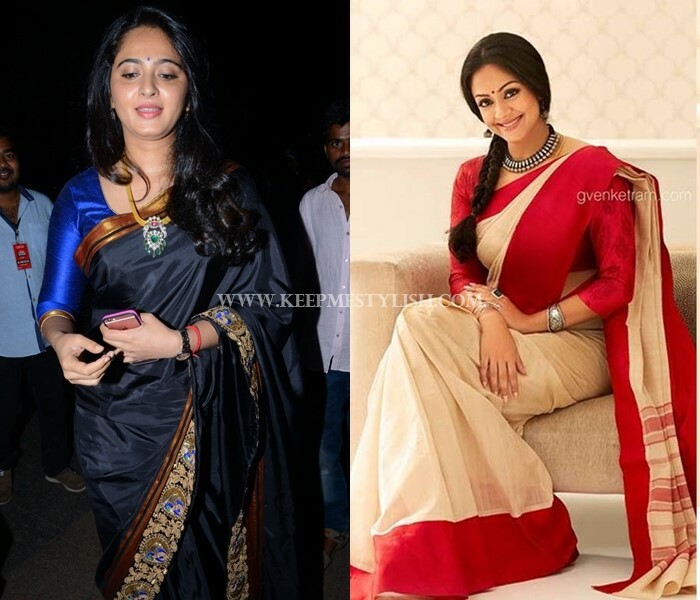 It is an undoubtedly a single most desire of any saree lover to look slim and sleek on it. Well tied saree with fine pleats and figure hugging blouse is what conjure up in mind when you look forward a good saree day. However, whatever may be the wishes; it is plain reality that, sometimes our body doesn’t cooperate to our fantasies. 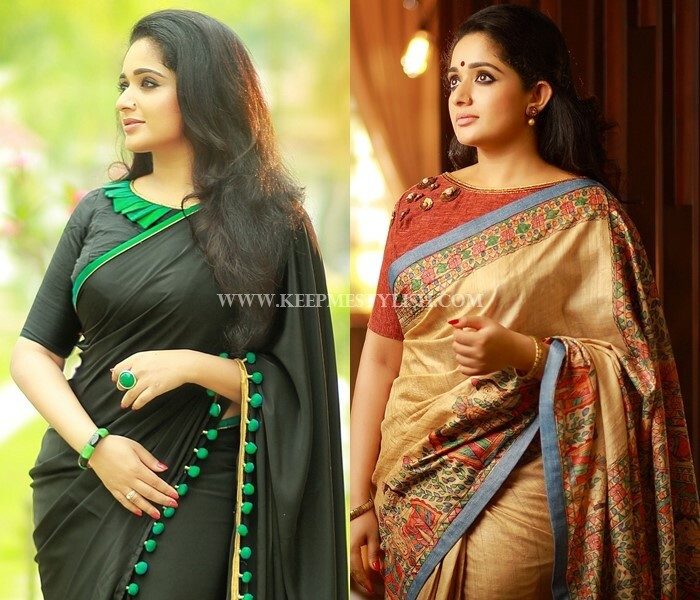 One pain point area which always poses a great threat for an impeccable saree style is the daunting big arms. Thanks to pregnancy and followed messed-up metabolism, the first area that takes the effect is your once-lovely-looked tender arms. Even those who are not married can still see their toned arms wiped out because of poor eating habits and stressful work. 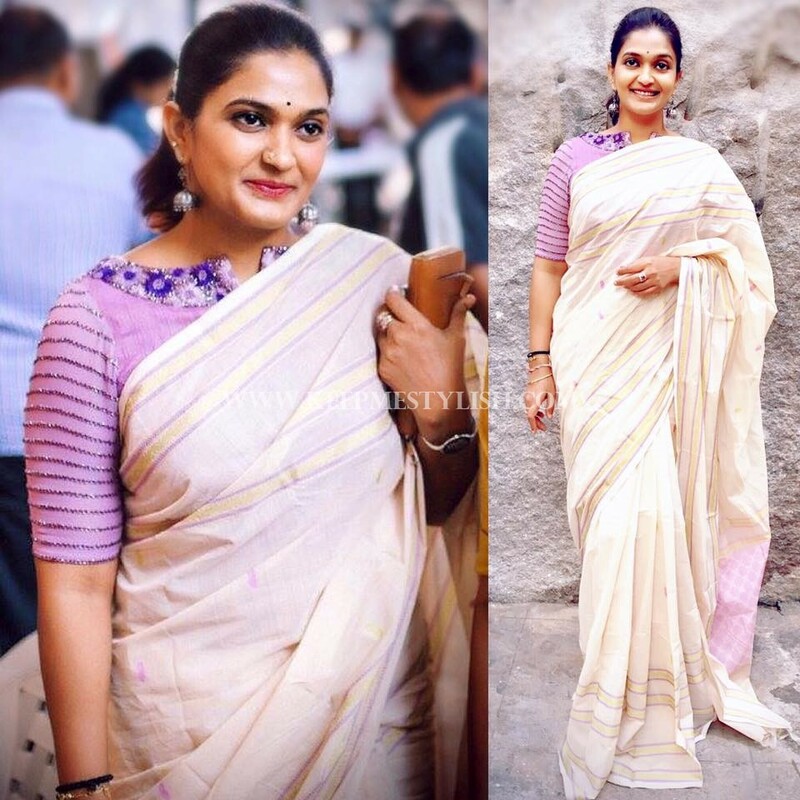 End result, you might not feel so comfortable in saree and blouse fearing weather it would expose the flabby skin.Good news is, you really don’t have to shy wearing your favorite drapes just because of this weakness. 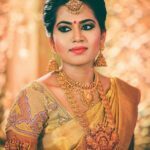 You can absolutely overcome this challenge in a smart way and still look like a diva in your saree and blouse. 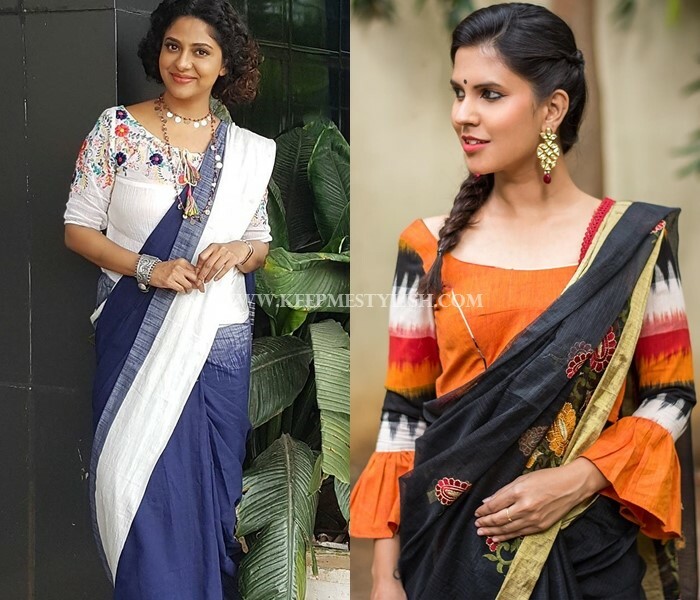 By making few changes in your blouse sleeve style and neck patterns, you can come up with not only a cool but chic saree style any day. 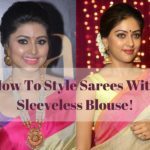 Ahead are few tested-out blouse tips that can take your worries off from your big arms and can make you enjoy your saree look once again. As you might already be guessing, the first and foremost tip to perk up your saree look is to conveniently hide your problematic areas. 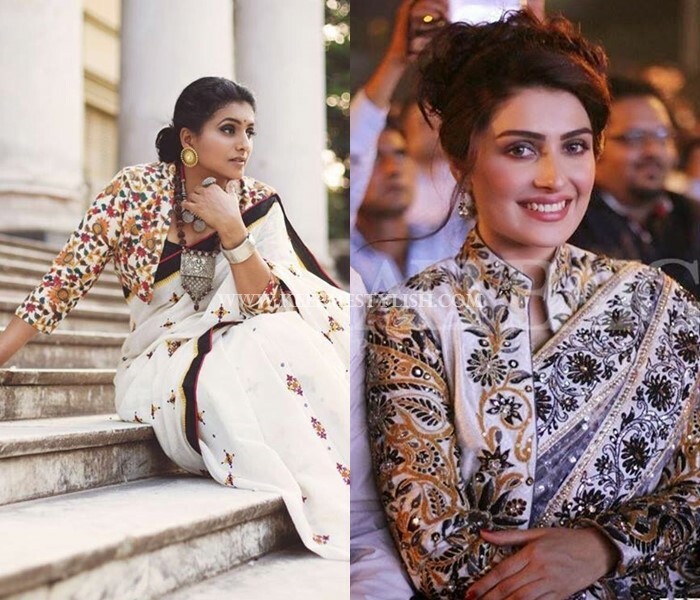 If you had been draping saree with the classic short sleeve blouse, then it is time to drop it now. To be true, these blouses are already taking exit in the fashion world. Instead try for a slightly longer sleeve. 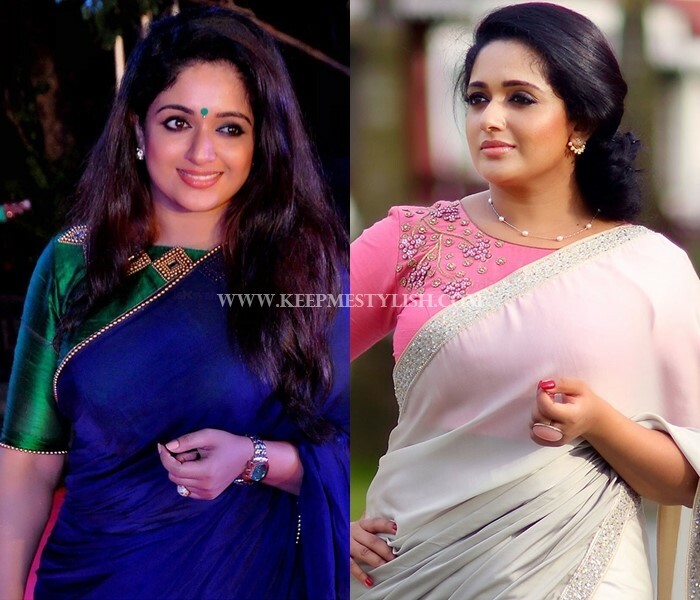 For you to rock a saree style, you need to keep all the eyes off from your arm and move the focus to alternate place. One great way to achieve this is to stitch your blouse with stand out embellishment on the neck area. This will obviously make the eyes glued to your neck and shoulder rather than arms. Similar to shoulders, the other area in your blouse, which has lots of scope to experiment, is your neck. 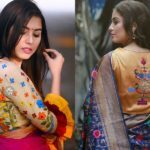 Any catchy or quirky pattern there would not only result in a trendy blouse but will also ease you out to look comfortable without bothering about hands. Next to elbow length, it is evident that the next obvious choice would be to embrace a three fourth sleeve. It is a boon for women who have flabby arms. With a structured fit, you can easily tuck your plus size arms inside it and look graceful on the rest of the look. 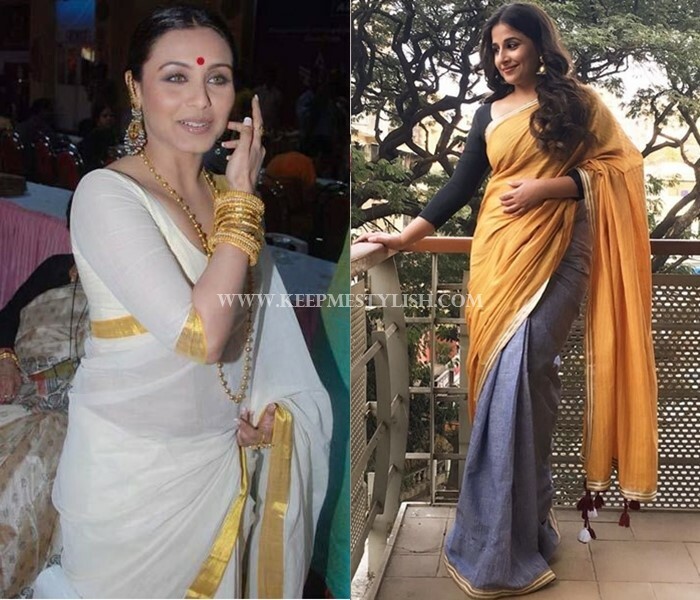 If you need huge inspiration, you can follow Vidya Balan blouse style for this, as this is the magic potion she has been trusting for quite long time to make her saree style work. 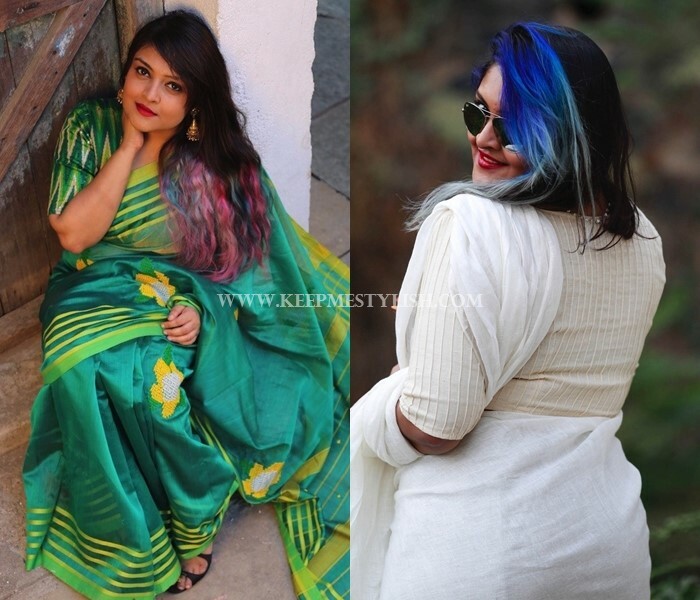 One big mistake you might have already been doing is to trying to fit into the old blouses and making your pain point so visible in your saree style. Please stay away from your ill-fitted old blouse. Just relax and try an oversized blouse with roomy hands for your body to breath. It’s a myth that only body clinching blouse can make a saree look stylish. Baggy blouses can be as chic as other blouse style. If you are in look out for a trendy blouse model but shying away thinking it’s a big deal, then leave your fear aside. Begin with a boat neck blouse. It is taking all the limelight from the fashion lovers and you can also have fun with this. This might surprise you. Can you wear a heavy blouse without making your arms looks even bigger due to all the layered thread detailing? Absolutely. 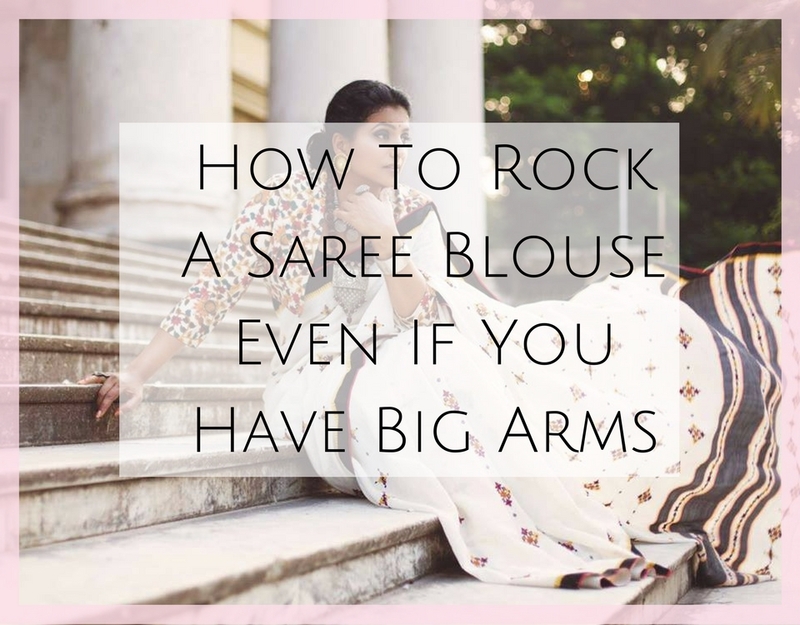 You can’t leave enchanting zardosi or patch work saree blouses, just because your arms are not so cooperative. By pairing them with low-key plain sarees, you can look pleasing in this blouse as well. 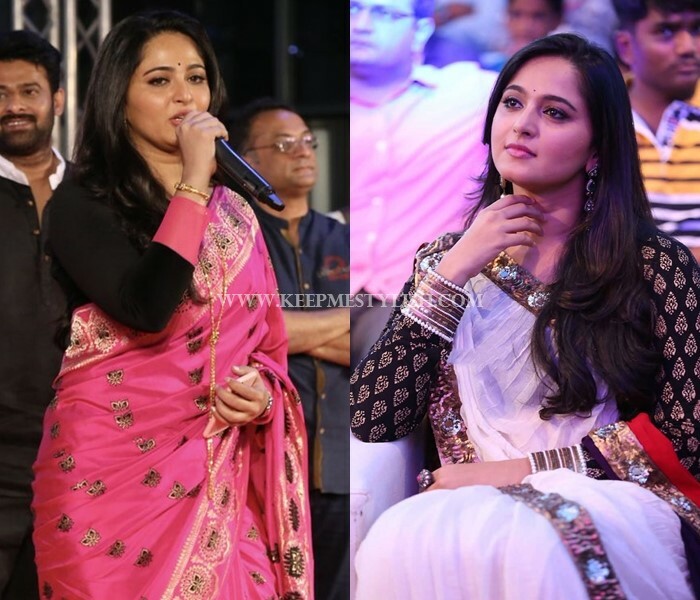 Just like elbow and three fourth sleeves, a full length sleeve is an attractive choice for you to try with any saree. To make this blouse style interesting, opt for catchy design around the wrist and see how it looks magical on your saree. If you like to experiment and not the one to shy away from bold designs, try fancy designs like below. Get your blouse stitched with statement sleeves and bring your arm to a positive light. Another interesting way to keep your style admirable is to try a sleek long sleeve with heavy neck piece. This way, all the attention would be on your jewellery and not on your hands. This might not be everyone’s cup of tea. But it’s sure worth a try as it can boost your confidence on whatever saree you plan to try it with. 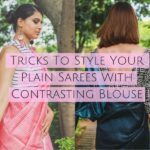 The trick is to replace your uncomfortable saree blouse to stylish ethnic coat and come up with an altogether new saree style. 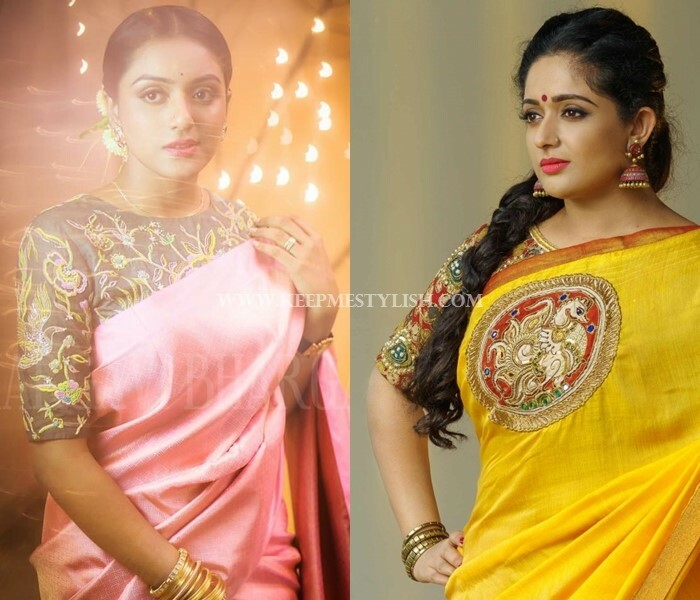 Choosing the right fabric for your blouse will make a world of difference to your saree style. Don’t fell for stiff and uncooperative textures; rather pick saggy and sleek clothes to stitch your blouse. As you clearly see, letting your favorite saree sleep because of a slightly plump hands is not a wise thing to do. At the same time, out of desperation, don’t ruin your beloved drapes by pairing with the wrong size old blouse as well. The magic is to choose flattering blouse that brings out the positive sides and let the negative slip off conveniently. 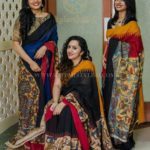 The blouse designs which we have discussed so far will help you to come up with an inspiring saree style in spite of the big arms. How do you handle a big arm challenge? Any tips to our readers? Give us a shout on the comments box below.